Job Fair: PBA is proud to host the first annual Southern California Beauty Career Fair at ISSE Long Beach 2015. Show attendees and beauty professionals can speak one-on-one with representatives from beauty companies and salons/spas about available job opportunities on Monday, January 26, from 1:00p.m. - 3:00p.m. in the Long Beach Convention Center. The career fair is open to the public but qualified attendees must purchase a ticket to access the show floor. 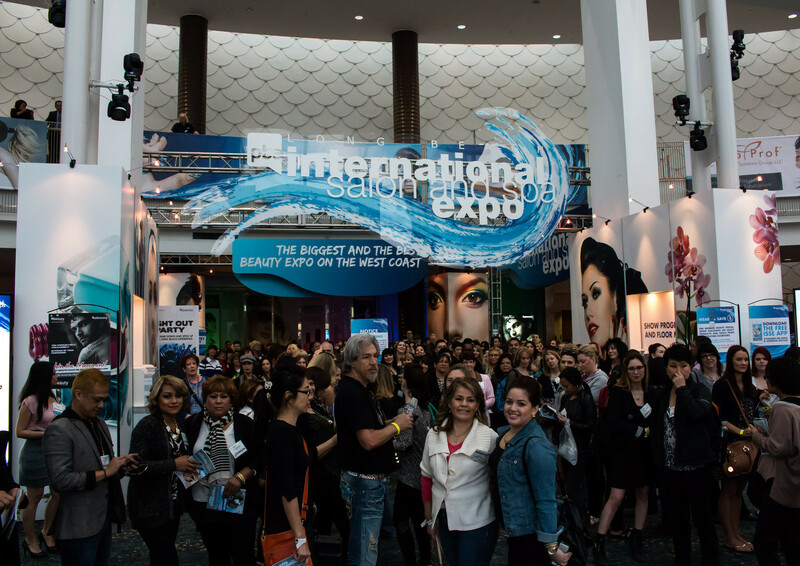 Blogger Café: For the first time at ISSE Long Beach 2015, the show floor will feature a one-on-one Blogger Cafe giving top beauty influencers from across the U.S. the opportunity to meet with show exhibitors. ISSE Long Beach attendees will also have the chance to meet with these beauty influencers throughout the show and can win a VIP gift bag! Each beauty influencers will nominate the best new product, best established product, and best of show in hair, nail and skin from exhibitors across the show floor. Each exhibiting company has 7 chances to win! The "Best of Show" will be announced by celebrity hairstylist, Ted Gibson, at the ISSE Long Beach Night Out Party! Sunday, January 25 at Sevilla Nightclub. OMC Tryouts: New this year, competitors can also enter for a chance to be on Team USA at OMC Hairworld 2016 in Seoul, Korea. OMC Hairworld is a bi-annual global competition inviting the world’s most talented hairstylists to compete on creativity, skill and the ability perform under pressure. The U.S. will be represented by four teams in 2016: Senior Ladies’ Technical, Senior Ladies’ Fashion, Junior Ladies’ Technical and Junior Ladies’ Fashion. Tryouts will be held on Monday, January 26, in conjunction with the ISSE hairstyling competitions. Only one spot is available on the Senior Ladies’ Technical Team. All four spots are available on both Junior Ladies’ Teams. OMC categories are open to all contestants. Competitors must compete in both technical categories or both fashion categories to be eligible for the Team USA try-out. The Nail Spot/Cut, Color & Style Stage: The Nail Spot and the Cut, Color & Style Stage are the newest additions to ISSE Long Beach. Dedicated to nail professionals, The Nail Spot is an area featuring creative and technical education, nail competitions and more. Nail professionals looking to enhance their knowledge, creativity and skills, will find it at The Nail Spot. All ISSE nail events including education, creative demonstrations and NailPro competitions will be held in this one, convenient place. The new Cut, Color & Style stage will showcase stylists educating attendees on the latest techniques and creating the most sought after styles at any skill level. I am going to be apart of the Blogger Cafe and I will hopefully be able to meet some of you at the show this weekend. :) To find out more information you can go to the ISSE website.